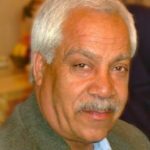 Hashem Khastar a Teacher’s Union leader has been arrested for his support of the recent teacher’s strike across Iran. 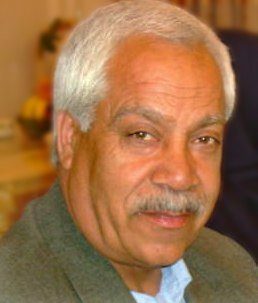 On Tuesday, October 23rd, a leading advocate for teacher’s rights, Hashem Khastar, was kidnapped by the IRGC forces, reports the National Council of Resistance of Iran (NCRI). Khastar disappeared from his family’s farm in north-eastern Iran. When his family tried to contact him, his phone was turned off. Khastar was quickly taken to the Ibn Sina Hospital in Mashhad and admitted as a psychiatric patient. His wife was later informed of his admittance. His wife went to the hospital to find her husband but was not permitted to speak to him. The arrest came following the recent protest by teachers across the country. The clerical regime and its security forces have put Iran’s teachers in its crosshairs. The Ministry of Intelligence and Security (MOIS) and the Islamic Revolutionary Guard Corps (IRGC) have arrested numerous teachers across the country. The regime’s decision to place Khastar in a mental hospital is a clear coverup of its despicable behavior. Khastar has no history of mental illness. He is physically healthy. The regime has imprisoned Khastar in the past. He was in prison from 2009 to 2011 for his outspoken criticism of the regime. Following the teacher’s strike, Khastar penned an open letter to the regime in which he called the mullahs “cruel rulers” and “tyrants”. He also called on the Iranian public to rise up against the regime. The resistance called on the international community to pressure Hassan Rouhani and regime’s Supreme Leader Khamenei into releasing him from the psychiatric hospital. It also urged teachers, educators, students, and syndicates inside Iran and around the world to support Iran’s teachers in their protests and stand with them against the repressive and murderous regime.